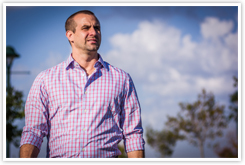 Chad Carroll has been a licensed Realtor since 2007 and has lived and worked in Southwest Louisiana all of his life. When he isn’t searching for his client’s dream home, he can usually be found spending time with his wife and four children or volunteering as a Dixie Youth Baseball Coach. Chad is driven by the desire to have happy clients. His concern is that you have the best experience possible. He recognizes the value in building strong relationships with each client. Helping people with their Real Estate is where he finds satisfaction. He will help you get you into your dream home and ensure that your buying and selling experience is as stress and worry free as possible. He operates with a unique philosophy that brings buyers and sellers together to streamline the Real Estate process. The search for your dream home doesn’t have to be stressful, allow Chad to put his expertise in Lake Charles Real Estate to use and guide you through the process.